Q: So, you've lost more than 30-pounds, an impressive accomplishment but not an easy one. What got the ball rolling for you? 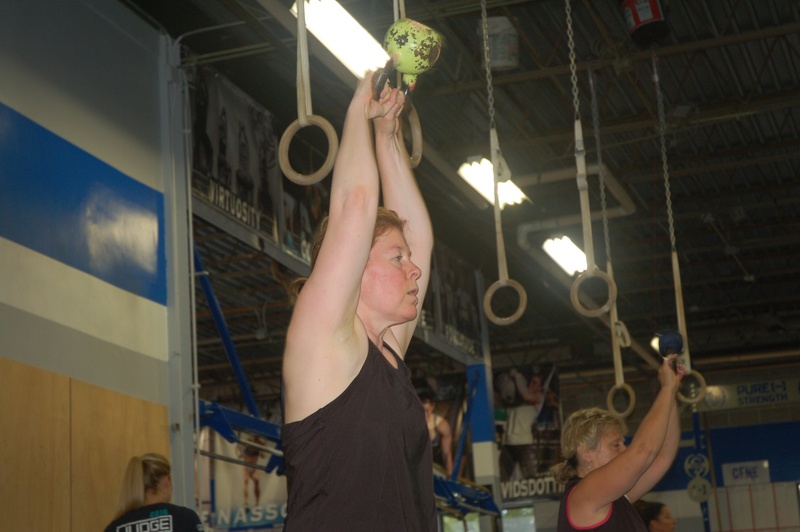 Julia: Well, I joined CrossFit in March of 2015 after seeing how much my son loved it. Then, in January of 2016, about 10-months in, my gym CrossFit New England (CFNE), had a clean eating challenge. An optional part of the challenge was to measure your progress with InsideTracker. So, my husband and I accepted the challenge to get a really good, concrete baseline for the progress we planned to make. We started on January 3rd, 2016. It was the perfect opportunity to start the new year right. Clean eating – no dairy, no white flour, no added sugars, and a few other restrictions for the thirty days. Q: Was this a drastic change for you? Would you say you were ‘eating clean’ beforehand? Julia: Well, we’ve always eaten organic. So our issue (including her husband here) wasn’t healthy eating. We’re very healthy eaters. It was just that on top of eating healthy, we would also have bowls of ice cream. So it was just trying to clean it up. We were about 80% of the way there. We just needed that 20%. And we were finding that we could only get so far at CrossFit. The diet was what was really holding us back. Julia: …So I should be having better progress, but in fact, if you don’t clean up the diet, you’re not going to. And in fact, as I saw from my biomarkers through InsideTracker, I wasn’t as healthy as I would have liked to have been given how much effort I was putting into the exercise piece. Q: So when you got your test results, were you surprised by anything, or did the test confirm anything for you? Julia: I think from my standpoint, it pretty much confirmed that menopause had been a really hard thing on my body. The hormone profiles were very, very helpful. Certainly to get confirmation of my cholesterol levels was reassuring as well since I’m not someone who goes to the doctor very often. I live a very clean, holistic life, and I find that every time I go to the doctor, they want to push medication. So I am really focusing on diet and exercise, rather than popping pills, to modify my health profile as I hit 50. The reason I went to CrossFit in the first place was that when I hit 50, I gained 15 pounds, and I was desperate to lose the weight. Q: Any idea what caused you to gain 15-pounds in such a short period of time? Julia: It was during the winter of snow, snow, and more snow. I had gone off the ‘menopause cliff’ and was stuck in the house. The solution? To make and eat cookies with my kids. Everything just seemed to come together at the wrong, or maybe even, the right time. I was lucky. Hitting the big 5-0 caused me to change my thinking. Q: With nutrition being the key to your weight loss and advancing in CrossFit, what did you learn from InsideTracker, and how did you implement change? Julia: It’s interesting. I’m someone who reads every health book and subscribes to a bunch of health feeds through email, but somehow, InsideTracker makes you feel like you have a personal staff of MDs and Dietitians really looking at your personal blood profile. It’s a lot more reliable than getting books out of a library or reading an article online where one might tell you to eat certain foods because of your blood type, and another might tell you to only eat a diet of fat and protein. They can all contradict each other, but depending on the person, they could all be right. And you would think you could get this from your doctor, but most doctors just aren’t trained in nutrition. 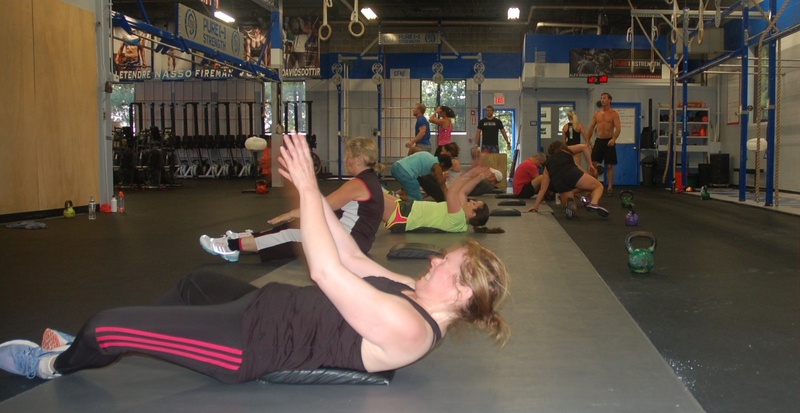 They’re not sitting down with you to look at your cortisol number and coming up with a personalized plan. In my case, for example, to eat more salmon. That’s what I was looking for. Q: Speaking of ‘what’s right for you,’ how do you incorporate your InsideTracker recommendations into your diet? Julia: I’m a good cook, so it’s fun for me to make up recipes that incorporate most of my Goal Foods into one meal. For example, I make a large pot of oatmeal over the weekend and freeze it in small portions for the coming week. I take the extra and easy step of adding in chia seeds, ground up ginger, and turmeric, so the whole thing really becomes more of an oatmeal, InsideTracker approved stew. Still oatmeal, but with all the other good things in it. It’s become the easiest way to make a good decision in the morning… It’s already made for me! I just have to heat it up. And my kids love it too. Though they may put a bit of brown sugar on it, at least they’re getting all the nutrients that are packed in there as well. Q: You tested with our Ultimate plan + InnerAge... I have to ask, what was your InnerAge and how did you feel about it? Julia: My InnerAge was 61, a full 10-years older than I actually am. I love that quantification. It really helped me put my health into perspective and gave me another goal to work toward. It could have been really depressing, but now I want to bring that number down. 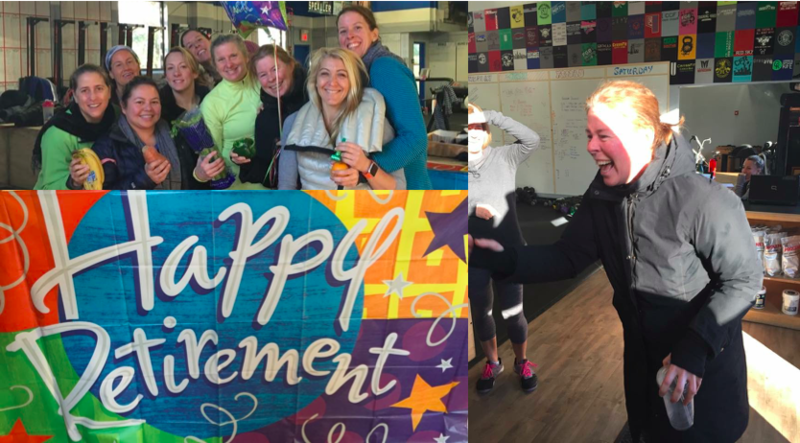 After sharing my InnerAge with a friend, I jokingly said, ‘I guess this means I can retire.’ When I got to the gym four days later, I was greeted by a full-blown surprise retirement party. Balloons, signs, the whole nine yards. It was great! It was hilarious! And it was also great having a sense of humor and teamwork around it. These very fit people didn’t look at me like an out-of-shape loser, they celebrated that I now had a baseline and a goal to work toward. Now, I’m looking forward to my next test. 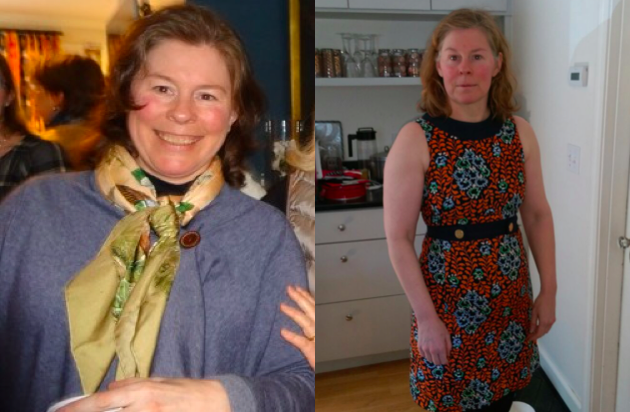 I don’t know that I’ll be at my goal of 42, but I know that had I continued to sit on the couch and not take control of my health, that 61 would have become 66, would have become 72. It would have only gotten worse. It certainly wouldn’t have gotten better. And especially as you get older, your health is so much more important, and not to mention, expensive. Suddenly you’re facing hip surgery, or knee surgery, or whatever, but you can prevent it. Q: So tell me about the changes you’ve seen since testing with InsideTracker. Julia: Let’s see. At my absolute heaviest, I weighed 194 pounds. Two pounds more than I weighed when I was pregnant with my son. Fifteen of those pounds were gained in a short period just before I turned 50. I had sudden onset menopause. The weight gain and menopause hit simultaneously. So there was certainly a hormone component to it, but it was concerning to say the least. Now I weigh 161 pounds. Looking at BMI alone, I’d ideally weigh 148. However, that’s somewhat of an outdated model that doesn’t take into account the muscle mass I’ve put on from CrossFit. I’m feeling more energetic too. I sleep better, and don’t drink caffeine anymore. (For a bit of humor, she pauses to take a sip of what I’m now realizing is decaf coffee.) I simply don’t need it. I sleep better. My skin is clearer, and less itchy. That was huge. I hate being uncomfortable. Now I notice when I got on vacation and eat poorly, I feel and see a difference. I’m certainly not aiming to be a bikini model, but I’m comfortable in my skin and body now. Q: So now you have a whole ‘new’ wardrobe? Julia: That’s right. And that’s what I tell people who say ‘InsideTracker is expensive.’ I say, no, it’s really not expensive. It allowed me to get to a place where I don’t have to buy new clothes to fit my growing waist-line. In fact, it allowed me to fit in some of my favorite clothes that hadn't fit for nearly 15-years. The money I save on that, plus not eating crappy food at bad restaurants, that pays for it too. Q: If you had to put your finger on it, what’s the one thing that made InsideTracker really work for you? Julia: The whole experience has really shown me that you don’t just have to accept that you’re 50+ years old and falling apart. It’s just not true. And I don’t necessarily think that conventional doctors have either the time or the expertise to sit and work with you. Not to mention, most of us don’t have the time to find that doctor who is willing to sit and work with you. It was as simple as showing up to a local lab when they opened at 8:00am and waiting a few days to get a full analysis of where I stand physically. I then have that report to dive into when I want to, for as long as I want to, and where and with whom I want to. From my standpoint, that’s why it worked. It meant that I got the time and care that I would have liked to have had from a doctor. InsideTracker basically functions for me as if I had a suite of people, holistically working in my care. Q: Anything else you’d like to share that we haven’t covered? Julia: I think that the barrier for so many people is a financial one. But sit down and be honest with yourself. Think about how much money you’re spending on those restaurant meals, or how much clothing you have in your closet that you can’t wear because it doesn’t fit anymore. Now just think, those costs, the cost of a new wardrobe… all of that could go away if you got a hold of your health and started to make your life about better choices. Now I’m certainly not one to lecture. I sat on my couch for twenty years. But if you’re afraid, start small. If you’re anything like me, you’ll be surprised by how quickly you can turn things around. Don’t think of it as spending money on InsideTracker, think of it as shifting money away from bad habits and toward healthy new ones. The muffins, the Starbucks lattes, they all add up. Take those away, and you’ve more than paid for InsideTracker. Not to mention, at my age, a disastrous health issue that could have been avoided certainly adds up too, and much faster. Anyone with aging parents can see it. Having to redo your home for first-floor living certainly isn’t covered by insurance.